Demand for technology and accounting jobs is on the rise across the UAE as businesses continue to invest in massive digital transformation, cyber security, big data and cloud infrastructure projects in addition to ensure a VAT-complaint system in place. 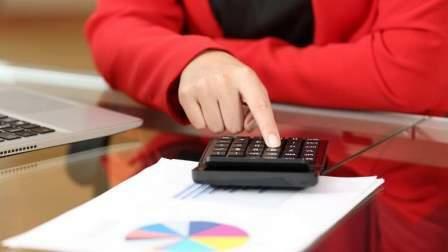 Recruitment firms affirm that the demand for IT and accounting jobs is here to stay as most of the Gulf countries look set to introduce value-added tax (VAT) by next year following its successful implementation in the UAE and Saudi Arabia in January this year. Similarly, headcount for IT-related roles is bound to further increase as more and more organisations are leveraging the opportunity offered by the Internet of Things (IoT) innovation and blockchain popularity. Referring to recent Robert Walters Middle East jobs index, analysts are of the view that there is shortage of lawyers and tax experts in the region as the adverts for professional positions increased by 25 per cent between the fourth quarter of 2017 and first quarter of this year. They said VAT experienced accountants, CAs, CFAs, economists and legal professionals are in demand in the region. According to the latest Monster Employment Index, there has been a two per cent increase in online hiring within the financial services sector between fourth quarter of 2017 and first quarter of 2018. The sector registered a year-on-year growth of 30 per cent in March 2018. The IT industry continued to exhibit restrained hiring, charting a 4 per cent decline between fourth quarter of 2017 and first quarter of 2018. However, recent month-on-month hiring is optimistic; the sector registered a 3 per cent growth in February 2018 and a 2 per cent increase in March 2018. There has been a nine per cent growth in online hiring activity between March 2017 and 2018. This is unsurprising given the need for companies in the UAE to hire trained specialists to effectively manage new VAT-related requirements. Abhijeet Mukherjee, CEO of Monster Gulf, said the UAE businesses are now required to submit tax returns and they must have to recruit the necessary talent to meet the new reporting and compliance obligations. "Of course, this is not only businesses, but we have even seen the UAE government planning to create a 'tax team' and the Ministry of Finance announcing 28 tax-related positions," Mukhherjee told Khaleej Times. Endorsing the similar positive sentiment, Neil Clark, vice-president - technology division at TASC, said there is demand for key jobs following the introduction of VAT and ongoing digital transformation in the corporate sector. "We have seen an increased demand in technology and IT roles in banking, airlines, logistics, ecommerce, pharmaceuticals and other industries. With more and more businesses focusing on digital transformation, this comes as no surprise," Clark said. Overall, he said there has been a 12-13 per cent increase in demand for new jobs, mainly driven by an increase in IT positions. "There continues to be an increasing demand for expertise in technology functions. Some of the popular IT roles have been programme and application developers, data scientists', business intelligence analysts, ERP planners, project managers, IT security managers, cloud architects, business analytics experts, and taxation specialists. "Individuals proficient in SQL/Oracle database, or professionals with knowledge of the hottest technologies in the market - such as Microsoft Dynamics CRM, AX - will stand to benefit," he said. Vikas Panchal, business head at Tally Solutions in the Middle East, said implementation of VAT has led to creation of more job opportunities in the market, which would lead to the economic growth of the country. "In times to come, more and more businesses will realise the importance of automation and streamline their operations. This would help them bring discipline and better control, leading to profitability. Rise in automation would mean need for IT and associated services. Our journey in the UAE has only just begun," he said. Divyang Bhandari, director taxation and advisory, ManageMYVAT said the advent of VAT definitely means that there will be a surge in demand for specialists in the taxation and IT domains resulting in job creation. "Specific to IT, support of specialists would be required in the areas of data capture, data validations, data analytics, MIS, process automation, bug fixing and product upgrades. Before products are ready for sale, support would be needed for testing," he said. In addition, he said resources would be required on an ongoing basis to keep up with changing regulations and continuous auditing of processes to avoid penalties. This could result in demand for qualified professionals in the field of accounting and taxation. In fourth quarter of 2017, IT sector recorded a two per cent decline over third quarter 2017 while financial services sector witnessed a 12 per cent increase. This can be attributed to the challenging economic climate and fluctuating oil prices in the UAE last year. "We started to witness a positive change at the tail-end of last year given the inevitable implementation of VAT at the start of 2018. This was reflected in the latest MEI which demonstrated strong Q1 2018 results within the IT and financial services sector," added Mukherjee. The Monster CEO sees hiring within the financial services and IT sectors continue to increase. The IT sector is recording a month-on-month growth of two per cent while the financial services is growing at a slightly slower, but stable one per cent. "We would expect this growth momentum to continue as we move further into 2018. As more and more companies, both large and small, begin to take the necessary steps to become tax compliant, IT departments must evaluate if enterprise financial platforms currently in place are capable of supporting VAT requirements, while finance specialists must develop innovative tax strategies and identify potential tax risks," Mukherjee said. Meanwhile, the Federal Tax Authority-accredited Zoho Corp says is now gearing up for the quarterly (tax) filing season. Currently the FTA has six accredited tax accounting software vendors in the country. Ali Shabdar, evangelist at Zoho Corp, said that specific to accounting practices, migrating to cloud-based, VAT-compliant accounting software will help businesses reduce cumbersome manual data entry as well as errors and ommissions while automating their business workflows. Moreover, their sensitive information stays safe, secure, and always available while the cost and risk of owning and maintaining in-premise hardware and software reduces considerably. "As the quarterly (tax) filing season is upon us, we are expecting many SMEs to file their VAT returns for the very first time. Zoho Books can generate VAT reports, which are exact replica of the government VAT return format," Shabdar said. The company recently announced the launch of its flagship product Zoho One in the UAE, which includes more than 40 integrated web applications and an equal number of mobile apps, all accessed through a single sign-on and managed with a centralised admin and provisioning panel.